To get a 2D CAD emerge qcad from http://www.qcad.org/en (you get the Community Edition) and do not forget the parts catalog emerge qcad-parts to get the stuff in /usr/share/qcad-parts. It uses the standard dxf file format for the drawings. Qcad has a nice help. 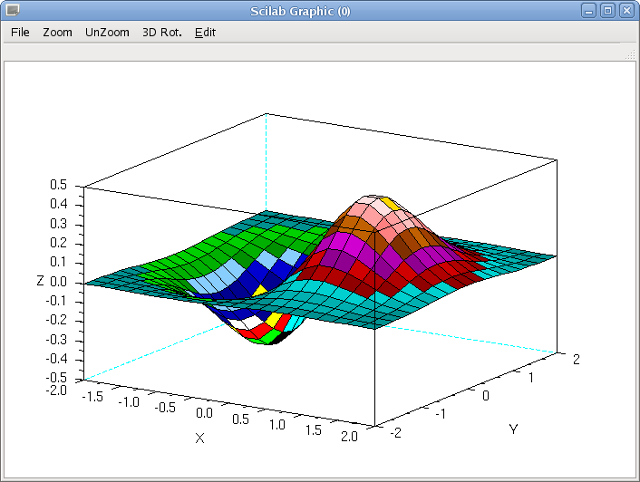 Scilab from http://www.scilab.org/is an alternative to the commercial matlab. Scilab it is a free open source software with a GPL compatible license it is quite accepted by educational institutions. It is quite complex therefore tutorials as found under https://www.scilab.org/tutorials or http://www.openeering.com/scilab_tutorials are a good point to start, or the wiki http://wiki.scilab.org/ or read matlab documents since it is quite the same. There is also Xcos that allows to simulate electrical circuitries. Gentoo portage has a old version but the science overlay has newer versions as eix scilab shows (dev-java/flexdock-1.2.0 instead of 1.1.1 needs to get emerged). Alternatively there is scilab-bin the 64bit binary version in the gentoo-el overlay. The commands can be written into a file, for matlab those files have a .m extension scilab uses .sci extension. Matlab .m files can be imported into scilab and converted in .sci files. Usually the conversion just adds a couple of extra commands at the beginning. Freemat from http://freemat.sourceforge.net/ is an other matlab alternative. It can be started as FreeMat and runs matlab code directly, smooth and well, it has some incompatibilities when it comes to plotting graphics.